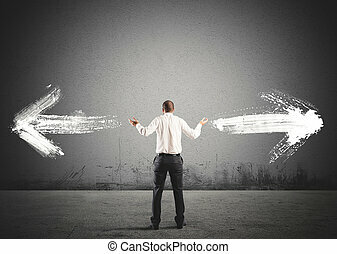 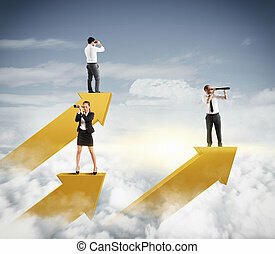 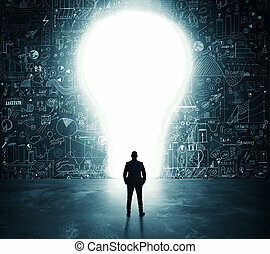 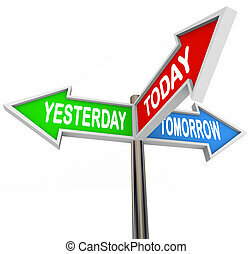 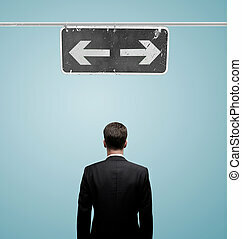 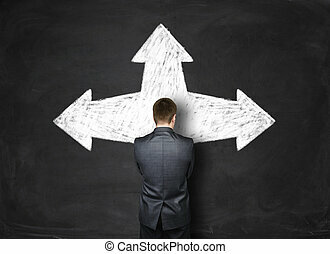 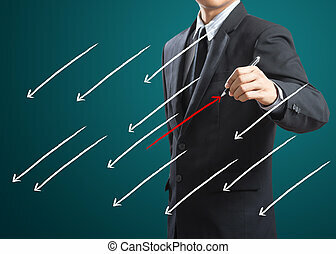 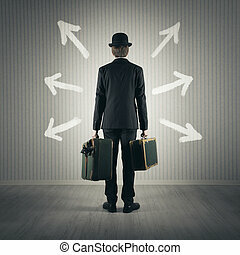 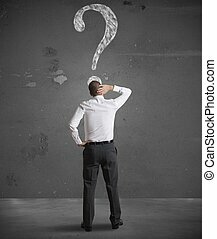 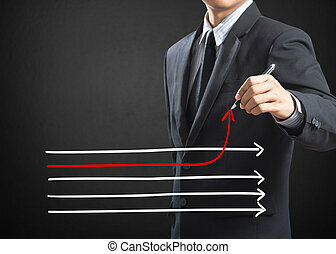 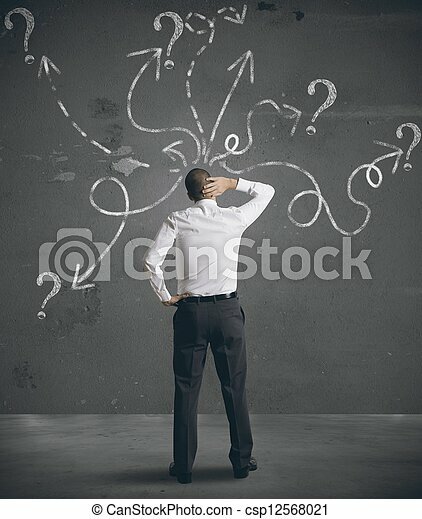 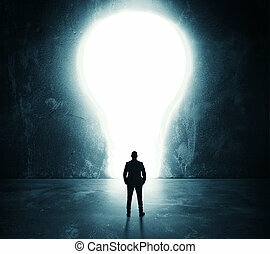 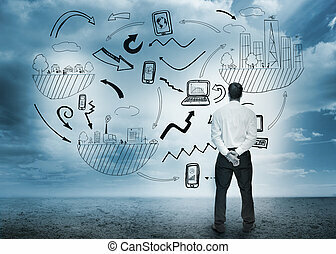 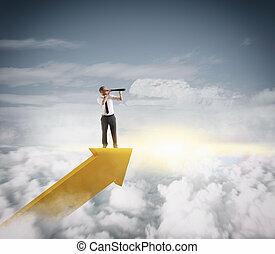 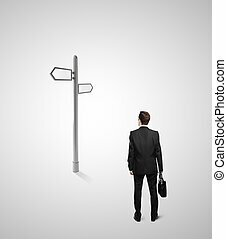 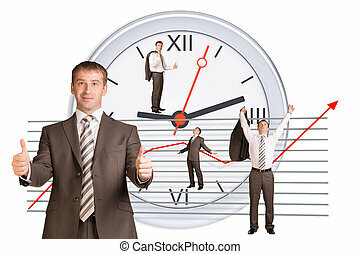 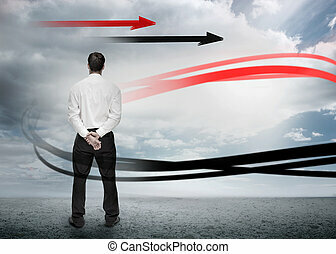 Businessman looking at arrows pointed in different directions. 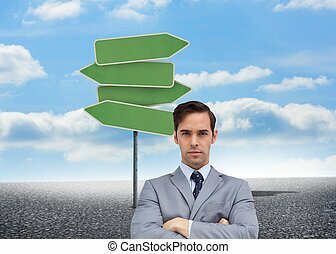 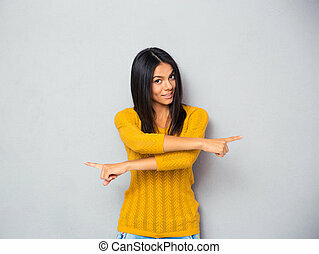 Businessman standing in front of a concrete wall with arrows pointing at different directions. 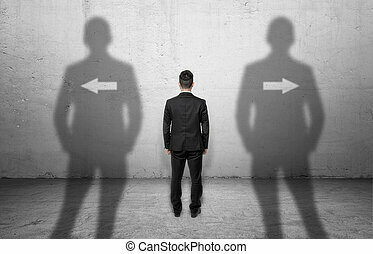 Stand in front of choice. 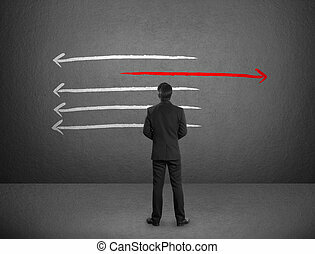 To make a decision. 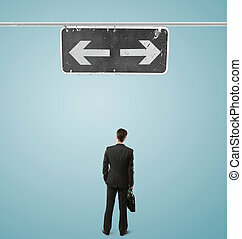 Difficulties of choice.